What He Does, Not What He Doesn’t – Hi Blog! I'm Dad. 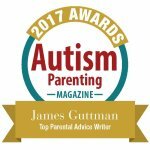 It’s hard to get much solid advice when you find out your child has Autism. Experts are worried about giving false hope. Loved ones struggle to find words. Plus, the exact definition of what “Autism” is changes from person to person. It makes giving and getting words to remember far less common. That’s why I hang my hat on one of the best and only tips I ever received as it relates to Lucas’s progress. It was given to me by one of his in-home aids pretty early on and has carried through to this day. Simply put, keep track of what he’s doing now and compare it to what he was doing six months ago. It seems so simple, right? Why even bother saying it? Progress is progress so we should naturally be able to see the advances that he’s making. Sadly, it’s not. Without consciously paying attention to growth that seeps by you on a daily basis, you miss the long term effects they have. It’s similar to the non-role that Autism plays in our home. Lucas’s personality is just that – his personality. It’s not about Autism. It’s about how he interacts with us or expresses himself despite being non-verbal. To us, this is what our six year old does. This is what a six year old is. Suddenly, all the things he’s fallen behind on spring to the front of my mind. A few minutes earlier I was so excited because he was waving to people as they came into the house. Now I’m lamenting over the fact that he’s not doing a kindergarten stand-up act. Through the years, that feeling has died down a bit. But it’s really for one reason. I’ve followed that advice. I’ve compared his progress and seen the advancements myself. I’m not stuck on what he’s missing out on because I’ve made a conscious effort to see the things that he’s’ not. Just as my daughter went from not knowing how to tie her shoes to knowing how to tie her shoes one day, my son has had the same personal achievements. They creep along and become part of his skill set without fanfare. The only time they do get noticed is when I’m keeping tabs and comparing it to what he did half a year earlier. At the start of the school year, I began making Lucas pick up anything he knocked down. At first, it was a comedy of errors. I’d point to what I wanted him to get and say, “Give me the remote.” He’d hand me a pillow. I’d repeat, “Give me the remote.” He’d look around and hand me a cup that I didn’t even realize was under the chair. This went on for a bit. Olivia would laugh. I’d laugh. Lucas would laugh. Eventually, after he’d picked up everything short of the couch, he’d give me the remote. We’d cheer. Today? Today he rarely knocks anything over and, when he does, he knows to pick it up and put it on the table. I can ask him to bring me almost anything as long as I can point to it and even make deals where he’ll give me his iPad in order to see a TV show in return. It’s a real achievement and we’ve watched him reach it slowly over time. That’s the real shame. Lucas is amazing and strong. He’s worked to do things that most people take for granted. Yet, for many, my son having “special needs” means focusing on the things he can’t do. It overshadows many of the powerful things he can. It takes away from his rightful applause and adulation. As parents, I can bring it to a more selfish level. Without comparing the changes in your child’s ability over time, we deprive ourselves of the satisfaction every parent deserves. Just because your child doesn’t play little league or peewee football doesn’t mean you can’t celebrate their accomplishments. You just have to keep track of what they are. Six months from now, none of us know where Lucas will be. It’s always a surprise to see what area he’ll soar through next. Even if we hit a six month point where he doesn’t make major strides, as a father, I love cheering him on regardless. It’s better to track the positives than wringing my hands over the negatives. It’s healthier for the both of us and keeps us in the right state of mind to push forward together towards that seemingly insurmountable goal – one six month span at a time.